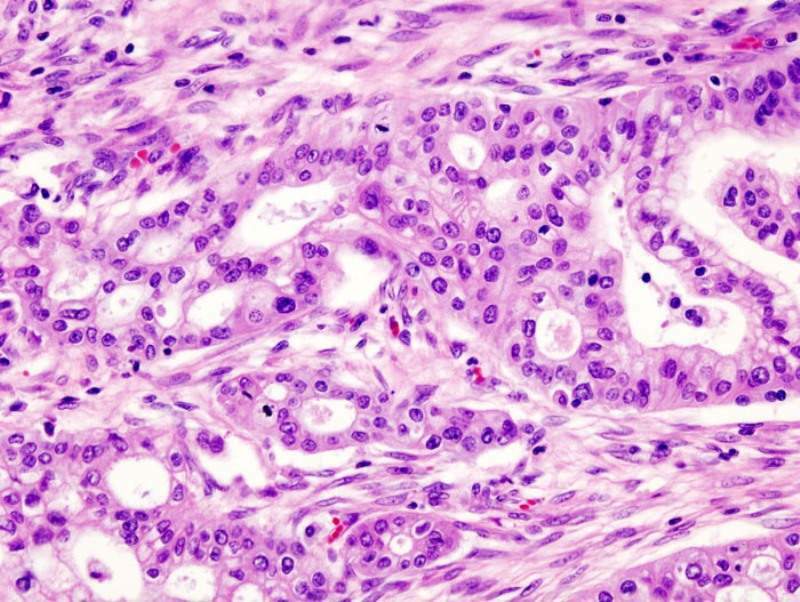 Histopathogic image of pancreatic adenocarcinoma arising in the pancreas head region. Credit: KGH. Novocure has partnered with US Oncology Research to conduct the PANOVA-3 trial, a Phase lll study evaluating the efficacy of Tumor Treating Fields in combination with nab-paclitaxel and gemcitabine for the treatment of patients with unresectable locally advanced pancreatic cancer. As part of the collaboration, US Oncology Research, which is supported by The US Oncology Network, will open ten clinical trial sites to enrol patients for the PANOVA-3 trial. Novocure chief science officer and Research and Development head Dr Eilon Kirson said: “Our strategic collaboration with US Oncology Research is an important milestone as we aim to bring better treatment options to patients with pancreatic cancer. A total of 556 patients with unresectable locally advanced pancreatic cancer are expected to be enrolled in the pivotal, randomised, and open-label PANOVA-3 trial. The trial will include patients who have an Eastern Cooperative Oncology Group (ECOG) score of 0-2 and no prior progression or treatment. Patients in the experimental arm of the trial will use a Tumor Treating Fields delivery system tuned to 150kHz for a minimum of 18 hours a day until the disease progresses. The trial’s primary trial endpoint is overall survival, while its secondary endpoints comprise progression-free survival, local progression-free survival, objective response rate, one-year survival rate, quality of life, pain-free survival, resectability rate and toxicity. PANOVA-3 trial principal investigator Daniel Von Hoff said: “Pancreatic cancer is one of the most aggressive forms of cancer and was the third leading cause of cancer death in the US last year. Tumor Treating Fields is a cancer therapy that is designed to use electric fields tuned to specific frequencies to interrupt cell division, thereby inhibiting tumour growth and causing affected cancer cells to die.